Instead of setting an actual date, I worked on it gradually, giving myself space to design and plan what to plant in the garden. You know what? It was much more enjoyable than I could have imagined! Every free moment I had I put into our rooftop. I purchased plants, seeds and garden utensils. It was such a huge undertaking for me, as I could not see it to completion, I think, it's going to be an ever evolving project for me and my husband and it did definitely cost us much already, beyond our budget. So I needed to find ways to add more flare with some accessories without breaking the bank, and I'm thankful I knew about All Home. 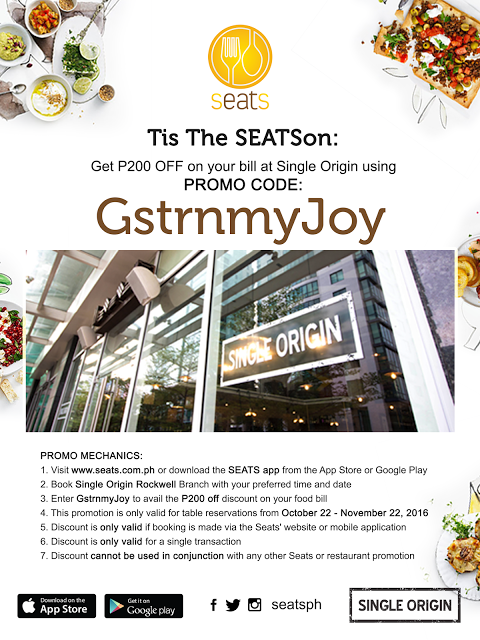 I love All Home, as it was where we bought a lot of things to decorate my parents' condo in Taguig and had frequented their Sta. Rosa branch. 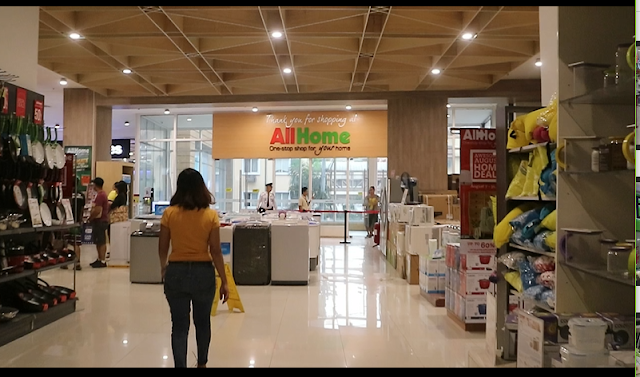 This time, we visited their branch in Taguig and my husband I thought we found another gem of a place to shop for our home improvement and DIY needs. With the tag line "One-stop shop for your home," you can really trust them on that. To prove my point, do check out the video we made for you, taken at ALL HOME Taguig. Also, I just want to say thank you to the store manager who was with me the whole time I took the video and while I was shopping. Additional kudos to him as it was him who also arranges the items on display, such eye catching and elegantly designed. The store was sectioned very appropriately as you can easily find whatever it is you-looking for in making your dream home. There is a particular bathroom in our home which I'm planning to renovate as most of the fixtures are already old and needed replacement. 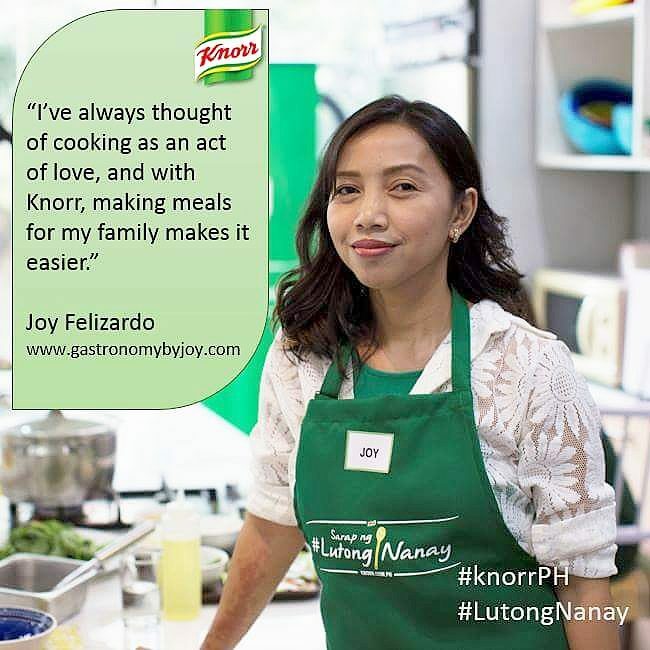 Hence, when I entered AllHome from the ground floor entrance, it took me awhile to move up to the second floor as my husband and I began planning and calculating how much we may need to replace the toilet and the sink plus the wall and floor tiles. 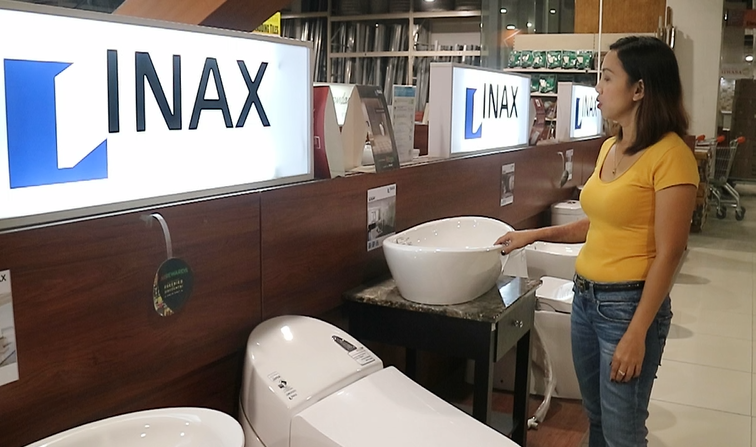 I particularly had my eye on INAX sleek and contemporary-styled toilet and sinks. 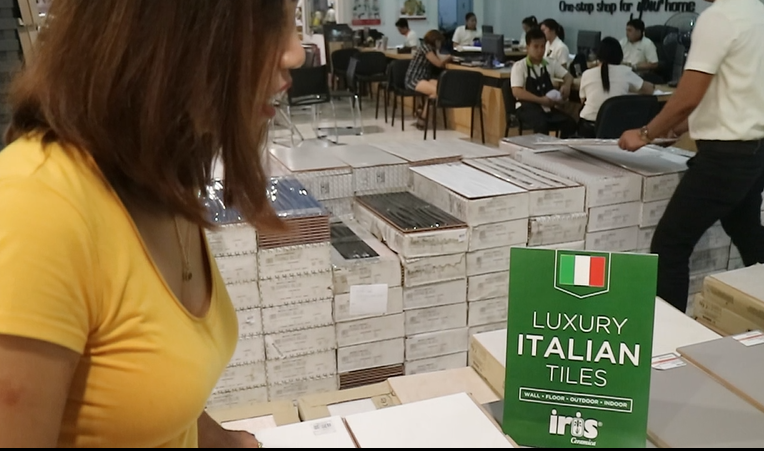 Another good sighting was IRIS Luxury Italian Tiles and I've already thought of installing tiles in the bedroom, I guess after a few visits to different hardware stores and ALLHOME I acquired a tile-addiction. At the second floor lies all the things you need for DIY's, I'm particularly here for more garden supplies including quirky accessories to put more interest in the place. It took me only two hours to buy all the things I need for the family's dining, to TnB's, to my garden. 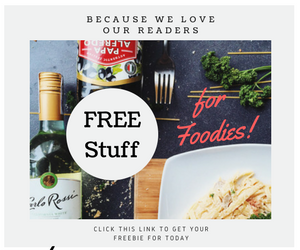 Want to see what I got from ALLHOME? 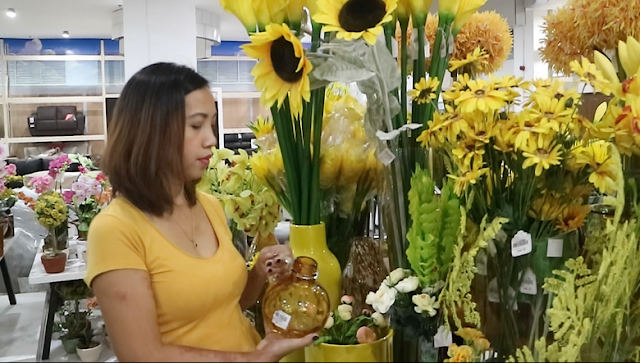 The video below was shot at our rooftop garden a day after I went shopping at ALLHOME. For more info on ALLHOME, you may visit their Facebook page. Interesting. 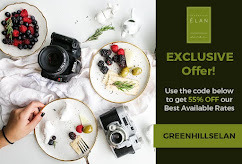 Mahilig din ako sa mga vase and plants. I will check out this store soon. Fashion Accessory Shops in Dubai Looking forward to reading more. Great post.Much thanks again. Cool.